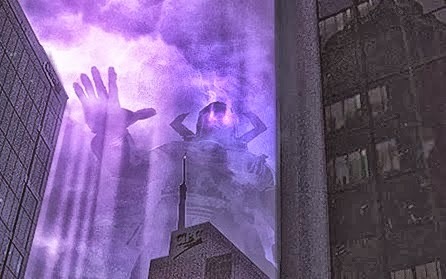 If you saw Rise of the Silver Surfer you already know how bad of a movie the people at FOX can churn out despite having access to some of the coolest Cosmic characters in Marvel's stable. 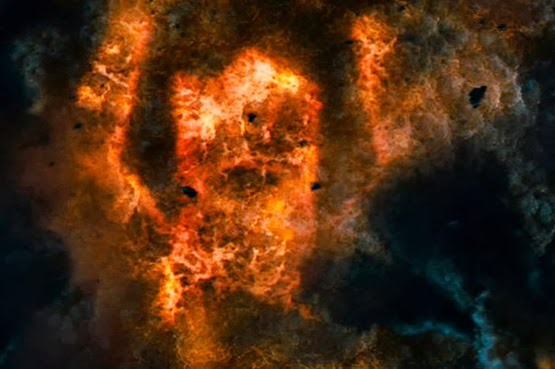 It was a disappointing film and I don't think anything about it was more disappointing than seeing Galactus, the devourer of worlds, the universal constant, depicted in roughly the same manner as Pig-Pen's Bo-funk (B.O.). 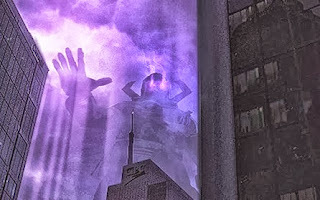 Then, I find out today, that I can actually be more disappointed in FOX's efforts because some official concept art by Daniel J. Cox was released which reveals that someone had the good sense to portray Galactus correctly but then someone else decided a fart cloud seemed much more powerful. Thanks, guy at FOX, for that. The movie was rough enough without taking away what could have been some sort of saving grace. Can't wait for the reboot...speaking of which I tweeted Mark Millar today to find out when production will start. Still waiting to hear back but I'll let you know.